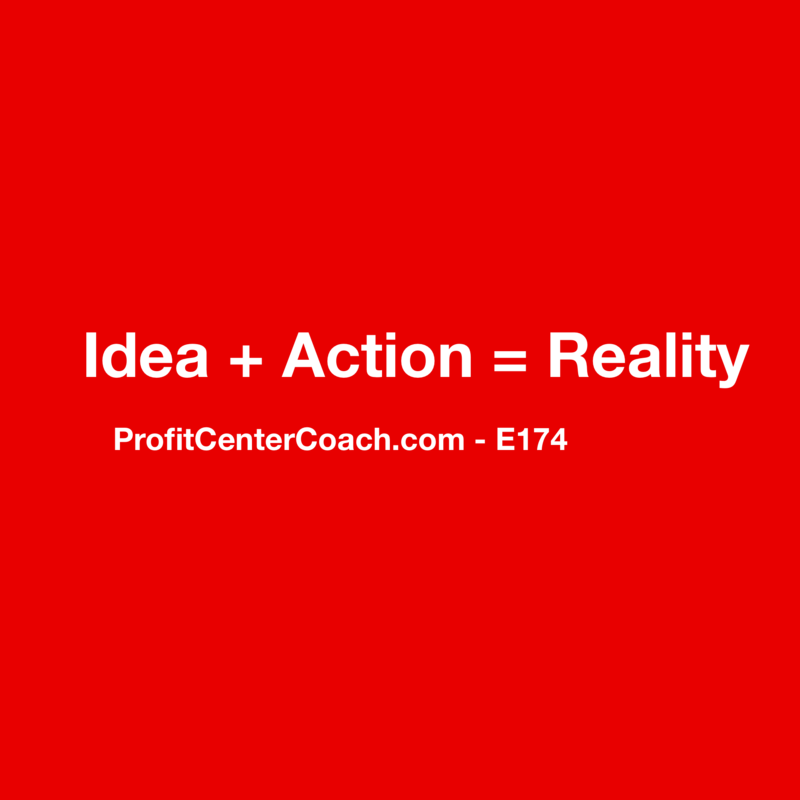 Ideas plus action equals reality. It seems like a simple phrase. But it’s not. Ask yourself, what are you waiting for? Make your actions a reality. However… you’re already doing this. If you look at your life on a daily basis you are taking actions and making reality happen. The question then becomes, “is this the reality you want?” That’s where the idea portion of the equation comes into play. Some might say that action is the most important part of the equation, while others argue that ideas are… but you’ve got to admit, reality happens anyway. SO molding the reality you desire happens when you mix the two together. But you have to have ideas and plans. If your reality is that sales are doing well and your business is stable. But you’d like to increase those sales… then, “increase sales” is an idea. However, if you do nothing you will not increase but simply sustain the sales. You’ve got to have both! It’s like when I say, “Consistency + Content + Customers = Cash” to describe how social marketing works most effectively. You obviously need customers to get cash, but when you mix in consistent content that they want, wow… you’ll skyrocket your results. 1- What are four things you do well at your business? This might be a product, a charity, an event, or a display… but four things you are doing well right now with your business. 2- Write three paragraphs about each of these four things you just identified. It should be easy, casual, free writing, just like you were talking to a friend. 3- You now have a full month (once a week) of blog posts! Woo Hoo! Episode #173 – Ever Buy 10 CD’s for One Penny?